Victoria Falls — Another body was Saturday retrieved from the Zambezi River as four Zambians were feared dead after being swept away while fishing illegally on the river. Zambian police activated their Zimbabwe counterparts after six fishermen from Livingstone drowned when a speedboat overloaded with 13 people capsized near Kazungula, about 80km away from Victoria Falls. According to a report made to the police, seven of the fishermen managed to swim to safety while six drowned. Two bodies were retrieved a few days ago following a search along the river by relatives and police in Zambia and have since been buried. One was swept 80km downstream and retrieved near Victoria Falls Hotel on the Zimbabwean side of the river on Saturday. The body was retrieved by rafting guides from Shearwater and Wild Horizons together with members of the Zimbabwe and Zambian police. The unidentified victim was found at the same gorge where an Israeli tourist who drowned while swimming was found a fortnight ago. The fishermen's body, which was in an advanced state of decomposition, was taken to Victoria Falls Hospital mortuary to allow processing of documents for its repatriation to Livingstone. A relative of one of the missing fishermen who preferred to remain anonymous said the deceased drowned while attempting to rescue their colleagues who had been attacked by a hippo. "Two of them were attacked by a hippo while in the water and the others all got into a boat to rescue them," he said. "The boat was overwhelmed as it was over-loaded and capsized. Seven managed to swim to the edge of the river while six drowned. 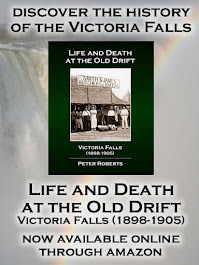 "All families of the six have been searching for the bodies all the way from Kazungula until we found this one here in Victoria Falls. "We don't know yet whose body it is but we will continue searching hoping all will be found." SOME environmentalists in Victoria Falls have called for the adoption of an integrated development plan in the country’s prime resort town to protect the environment from human activities. Speaking during a meeting with the Parliamentary Portfolio Committee on Environment and Tourism held in Victoria Falls on Friday, environmentalists concurred that the absence of a master plan has a negative impact on the natural habitat which will eventually affect tourism. They called for a halt in development of landfill sites in the resort town as this pollutes the environment. Chairperson of the Victoria Falls Enviro-Watch Mr Tony Peel warned that the natural habitat faces serious negative effects if human activities are not handled properly. “The meeting was a massive success. We were not sure if the committee would listen to us but they were receptive and I think going forwards there will be mutual benefits. As organisations we are pro-development of Victoria Falls which is key to Zimbabwe’s future. Up to now the environment has not suffered significantly but if not handled correctly going forwards it can be negatively affected,” he said. 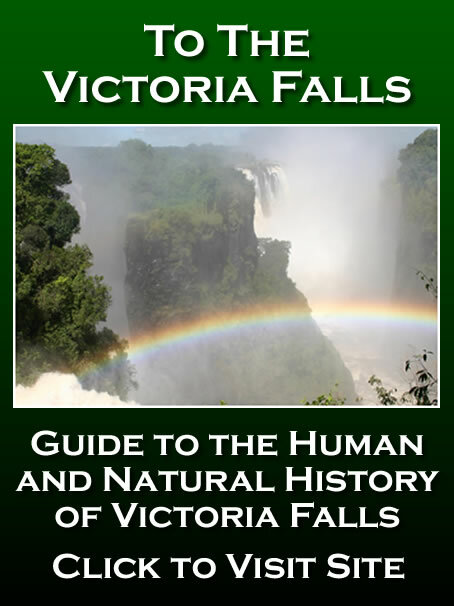 Victoria Falls is a world heritage site situated within the game park and is one of natural wonders monitored by the United Nations through Unesco. Chairperson of the Portfolio Committee Mrs Concilia Chinanzvavana said an integrated master plan is inevitable. “We were invited by stakeholders to interface and share ideas to see what impacts the area as a heritage site. A lot needs to be done and some policies need improvement. Key among this is the need for an integrated development plan because the absence of a master plan is a threat to the environment as we may be encroaching onto what we are supposed to be protecting,” said Mrs Chinanzvavana. She said while industrial growth is key, people need to be mindful of its impact. She called for dialogue among all stakeholders. Contributing during the meeting earlier, stakeholders called for recycling projects, the need to plant indigenous plants and dealing with invasive species such as lantana which has populated the Rainforest and gorges along the Zambezi River. They also raised the need to control the movement of haulage trucks which they said are a threat to tourism as they damage the environment. The environmentalists expressed concern at the rate at which wild animals are reportedly being killed by vehicles along the main roads especially the Victoria Falls-Kazungula highway and called for widening of the road and introduction of speed traps to control speeding. 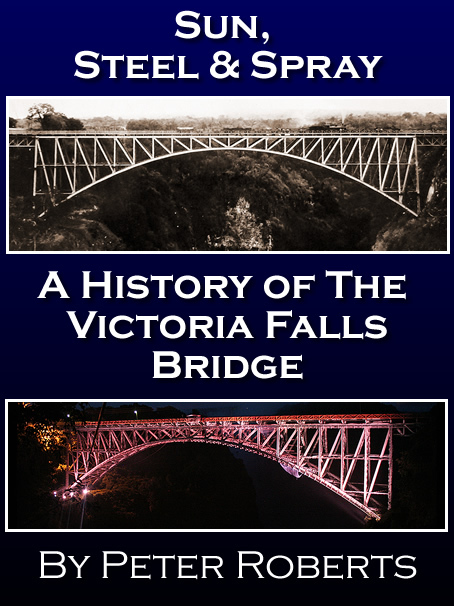 They called for speedy completion of a one-stop bridge across the Zambezi River in Kazungula saying this will reduce the impact of haulage trucks in Victoria Falls. The stakeholders said there are numerous success stories in Victoria Falls as a result of joint efforts by different stakeholders. The tourism Special Economic Zone (SEZ) town of Victoria Falls last year said it has a five-year development plan which, however, requires about $75 million to implement. Victoria Falls Municipality and Hwange Rural District Council (HRDC last year agreed to integrate developmental programmes to promote tourism in their five-year strategic plans. The two had not been working in concert despite being in the same tourism district where the mighty Victoria Falls, Hwange, Chamabondo and Zambezi National are located. The country’s tourism capital, Victoria Falls continues to attract significant investments with a total of 18 new properties having been commissioned over the past 12 months, the latest being the $8,5 million Mpala Jena Camp which was officially opened on the 14th of February 2019. The Minister of Environment, Tourism and Hospitality Industry, Cde Priscah Mupfumira paid tribute the Great Plains Conservation for the investment and highlighted the government’s resolve to ride on the current goodwill and positive image to spur growth of the tourism sector. The new investment policy and the national mantra, ‘Zimbabwe is Open for Business,’ provide the tourism sector an opportunity to attract more foreign direct investments (FDIs). Great Plains Conservation directors reaffirmed their commitment to expand their footprint in the country and to complement the government in ongoing conservation work. “We are so excited to be given the opportunity to contribute to the growth of the local tourism industry and we are keen to support ongoing conservation work,” said Mr Blessing Munyenyiwa. The $8.5 million property whose construction commenced in January 2018 is among the few tourism properties that fully operate on solar power. The exquisite tented camp is located in a private concession within the Zambezi National Park. The official opening ceremony was graced by the Zimbabwe Parks and Wildlife Authority (Zimparks) Director General, Mr Fulton Mangwanya, newly appointed Zimbabwe Tourism Authority (ZTA) Acting Chief Executive Officer, Mrs Lita Likukuma, Civil Aviation Authority of Zimbabwe (CAAZ) Managing Director, Mr David Chawota, among other tourism stakeholders. 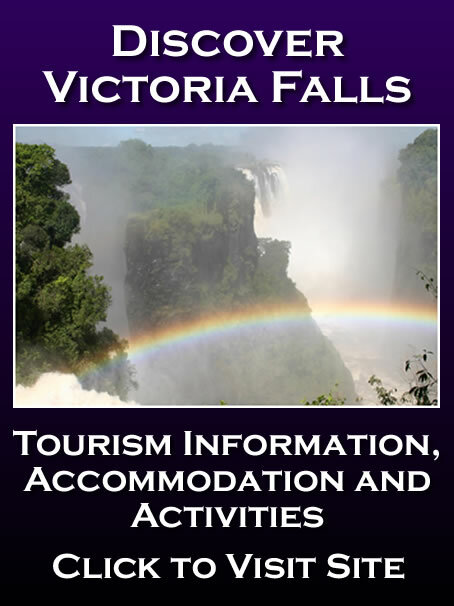 TOURISM operators in Victoria Falls have partnered their local municipality to build a low cost clinic targeting disadvantaged members of the community in the resort town. Speaking at an event organised by the Hospitality Association of Zimbabwe (HAZ) members for elderly people at Chinotimba Old People’s Home on Friday, Ms Yvonne Jandles said donors for the ambitious project had been identified. “In 2019 we will be refurbishing a derelict building at the Old People’s Home, which we are going to convert into a small clinic. We are working with the council and we’ve met some of the donors. “The clinic will cater for those housed at the old people’s home and even the community. We have noticed that these people suffer while seeking medication elsewhere and we want them to be attended here within their premises,” said Ms Jandles on behalf of HAZ. One of the affected is Gogo Swelakele Maphosa aged 107 who fractured her limb last year in August and is yet to undergo surgery because of lack of funds. She fell while at the Old People’s Home and tourism players mobilised resources to take her to Livingstone in Zambia as local health institutions could not assist her. A doctor in Bulawayo has offered to operate on her limb free of charge. Ms Jandles said the tourism sector would not be deterred from doing corporate social responsibility projects by the prevailing economic situation. 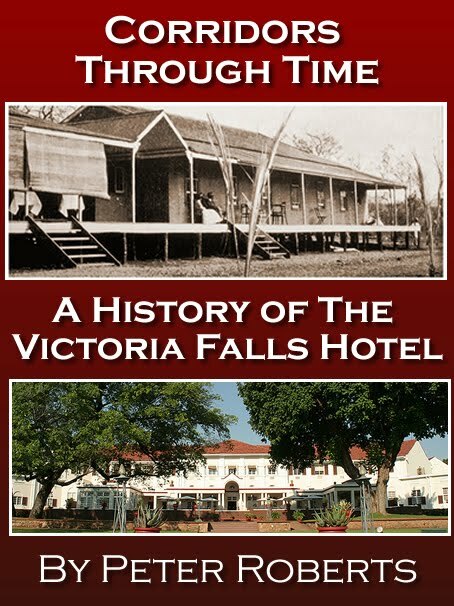 HAZ Victoria Falls chairman, Mr Farai Chimba, who is also Victoria Falls Hotel deputy general manager, said HAZ would also refurbish and furnish the Old People’s Home’s living room. Besides the buffet meal prepared by Victoria Falls Hotel, the elderly were each handed grocery vouchers and clothes. Ms Jandles said the Old People’s Home has been a corporate social responsibility project for tourism players for a number of years. She singled out donations by TM Supermarket which donated a gas stove while international rugby player Tendai Mtawarira donated fans for the living room. Hotels take turns to refill gas and have put all the 12 elderly people on Nyaradzo Funeral cover. The Old People’s Home depends on the community’s benevolence. A year ago the operators under the banner of Hospitality Industry Association (HAZ) Victoria Falls Chapter constructed a shed at Kazungula Border Post after realisation that tourists were spending much time under the direct sun at the facility waiting to be attended to. The facility eased pressure for self drive tourists as it is being used for immigration procedures. An Israeli tourist who drowned in the Zambezi River near the Victoria Falls hotel has been identified. The deceased has been identified as Ofer Cohen, 34. He had entered Zimbabwe through the Victoria Falls Airport last week. It is suspected that he went alone to the Zambezi River on Sunday to swim under the Victoria Falls bridge near Rapid Number 1. He was apparently not wearing a life jacket. Swimming is prohibited in the Zambezi River because of the volatile currents, crocodiles and hippos, while activities on the river are done under the close watch of skilled guides. Even guided rafting activities are suspended at this time of the year on that part of the river as water levels rise daily. Cohen was in possession of a Polish passport and was on holiday alone, police said. He allegedly set off on a sunset stroll on Sunday, where he is believed to have jumped into the river to swim. He was only wearing a pair of shorts. With water levels rising significantly due to seasonal rainfall upstream, Cohen was allegedly overwhelmed by the current and swept downstream from Rapid Number 1 to Rapid Number 4, where his body was found floating on Tuesday morning. Local police were reluctant to descend the steep gorges to retrieve the body on Tuesday, instead waiting for their specialised sub-aqua unit. Two police divers from Bulawayo arrived at Victoria Falls and teamed up with rafting guides to retrieve the body on Wednesday morning. It took more than two hours for the rescuers to recover the body. They used a swing line to bring the body to the top of the gorge on a stretcher. Cohen’s friend Ralf Newbey, in whose house he was staying, said they reported him missing on Tuesday morning after spotting a body in the gorge. “He drove from home on Sunday to have a sunset view of the rainforest and later went down the river for a photoshoot. That’s when he decided to swim without a life jacket. We looked for him on Monday and saw the car parked near the rainforest, and on Tuesday saw his clothes on the edge of the river, near the water,” said Newbey. Police said they are investigating the circumstances around Cohen’s drowning.